Musical theatre* training offered through music programs instead of theatre schools and departments provides unique opportunities for students. While theatre and dance are still major components of these programs, the emphasis is on music. 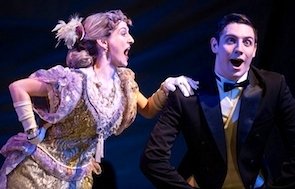 Students attending music school for musical theatre work to become “genuinely fluent in the music aspect of musical theatre,” says Dr. David Herendeen, director of Opera and Musical Theatre at Oklahoma City University Wanda L. Bass School of Music. Theory, aural skills, sight singing, music history, and musical theatre history are important elements of the curriculum. Scott Plate, chair of Music Theatre at Baldwin Wallace University Conservatory in Ohio, says, “With a more thorough grounding in music theory, a secondary instrument and ensemble, a student is more musically prepared for life as a music theatre professional.” Herendeen adds, “The music theatre market expects effective rendering of text and characterization in a variety of song forms and styles for a variety of consumers.” Students study this in great detail and depth. Ann Evans Watson, an actor/singer/dancer and musical theatre coach, emphasizes that students need to be trained in microphone use and “the science of sound.” In addition, she stresses the importance of body work practices such as Alexander Technique, Feldenkrais, and Laban, for fine-tuning one’s performance. Allison Verhofstadt, currently a musical theatre major at Benjamin T. Rome School of Music at The Catholic University of America, recognizes the importance of the training she’s getting in how to audition. “The workshops we have really train you well to get used to auditioning, how to present yourself best, and how to act like a professional actor instead of seeming like an inexperienced student. These skills help secure internships and make auditioning much less intimidating…Plus, the faculty will give feedback. This helps you know where you went right or wrong in the audition and how to improve it. In the real world, you will rarely, if ever, get that kind of feedback, so it is extremely helpful to have that in school! What do current and recent students of musical theatre wish they’d known before entering their programs? • When you walk into the room, smile and make eye contact with every person in the room. It shows you are confident and at ease. Take a moment once you state your name and song title, before nodding to the accompanist. This is your audition and you shouldn’t feel rushed. Make sure you’re ready and comfortable before you start singing, take a breath and create your world before starting the song. Jump in with two feet. Welcome criticism because it will make you stronger. Greet every day with optimism, learn from your classmates, support the people you perform with, and make good friends. • Be yourself – listen to your mentors and assimilate what works for you and let the rest go. Have enough well-thought-out, well-rehearsed pieces so that you can stay interesting and relevant. • Find a song that fits your voice; put it in a good key. If it is uncomfortable to sing, it is uncomfortable for us to listen to. Sing your, and the composer’s, version of the song. Don’t imitate the recording. Many of the voices you hear [in the recording] are electronically mixed to the point where no human can really make that sound. • Do not sing the most difficult song in your book! Bring a strong point of view to your material, tell the story and enjoy the time you have with us. • Breathe. Listen. Take your moment. Don’t be afraid of stillness. Set three goals for yourself before you walk into the audition room. Instead of focusing on trying to figure out what the people behind the table think of you, work on accomplishing those personal goals you set for yourself. Always be prepared and always be early to auditions! • Come prepared with everything. So many times in auditions the people behind the table liked me, but didn’t necessarily like my material. They will ask you for something else. At one of my auditions last season I was asked to do 4 songs out of my book and 3 monologues. • We want to see someone that wants to give their all, but is not the perfect dancer. Whether it’s through your song choice, your monologue, your dance – we’re looking for that spark. We can polish the rough edges if there are any. We’re there on your side. Be prepared to add contemporary urban music styles to your repertoire. Music theater styles are expanding to include rap, hip hop, and house music. Increased stylistic versatility is a must. “We bring Life to our work, so whatever else you are doing, choose it and relish it because it will put bread on the table in the lean times and be a meaningful source of inspiration for the roles you play,” says Ann Evans Watson. Graduate school is typically not something musical theatre majors pursue fresh from an undergraduate degree. But some who discover a major gap in their skills and knowledge sometimes return to a graduate program. Others discover a new area of interest once they’re out in the field. For example, Elise Morrow-Schap and Tom Pederson encourage those interested in directing and management to consider graduate programs. Stephen Schwartz is a prolific composer and lyricist whose musicals include “Wicked,” “Pippin,” and “Godspell.” Link here to his advice to aspiring musical theatre performers. Hey, I was just wondering if you could suggest possible degree/career options to me! I love musical theatre (primarily singing) and pursuing it would be a dream but I just fear its too much money being risked for such an unstable career. Are there any other jobs that might pull musical theatre and singing together other than teaching it? I would consider a degree in voice performance but I don’t think of myself as a classical singer. I’m so lost, and afraid of risking everything but as afraid of regretting my decisions. Thanks in advance for your help! Take a look at our MajoringInMusic.com Facebook post on October 12 to learn about some of the other jobs essential to a musical theatre performance. Also, you might want to check out arts administration as another option. I plan on doing musical theatre but I don’t know the requirements. What do I need to have prepared If I plan to audition for something? Look at the websites of schools you’re interested in applying to. They will tell you very specifically what your audition needs to include. Remember that the requirements at each school are different. As a freshman in high school, what are things that I should be doing/working towards for majoring in musical theatre? What are the major requirements I should have under my belt for college? We suggest looking at the application/audition requirements at schools such as those contributing to this article, and then using the forms on their pages on this website (click through to them right from this article) to ask specific questions not covered on their own sites. Ask to get some contacts of alumni who are actively working to learn more. I have acted in 2 high school performances so far and am a sophomore in high school. I adore musical theatre and am in jazz band and concert band. However, I have not taken dance classes. I have danced in the 2 musicals that I participated in, but I haven’t taken professional classes. I don’t think that doing dance classes now when I only have 2 more years left of highschool left will do me good, and I’m worried that that will diminish my chances of getting into a musical theatre college. Any advice? Do you know of any colleges that don’t require intense dance experience? We suggest you pick out a few schools you’re particularly interested in at this point in time, and talk with some of their faculty directly. If any of those schools participate on MajoringInMusic.com, you can use the forms on their participating school pages for that purpose. 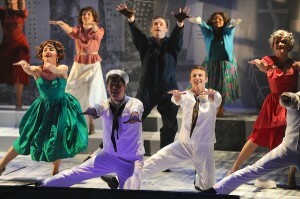 We also suggest you consider summer music programs where you can explore the dance component of musical theatre. Hello! I am preparing for my audition at OCU, and would like more information about the musical theatre/vocal performance degree. Is it actually a dual major, and if so, does it take more than the usual 4 years to complete? 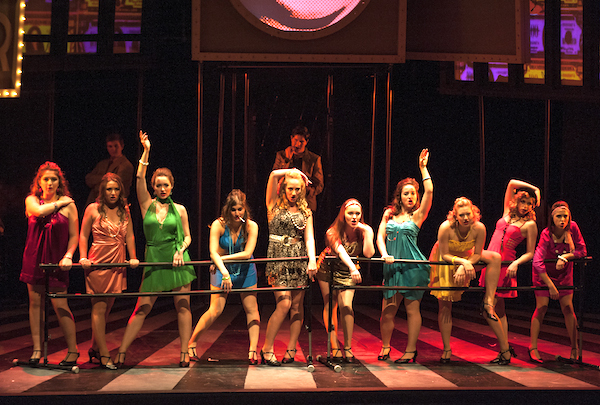 What does the program entail, and how is it different from a musical theatre only degree?